Adidas by Stella McCartney truly embodies the modern fashion-meets-function design ethos. Encompassing high-performance gear across disciplines including running, yoga, cycling, tennis and swimming- the whole range embodies her signature with its vibrant prints, sleek lines and precision fit. 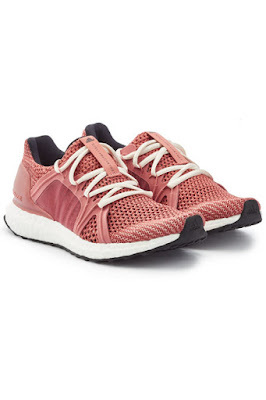 Designed for a fast-paced workout or running sprints, these sneakers from adidas by Stella McCartney are lightweight and easy to move in. 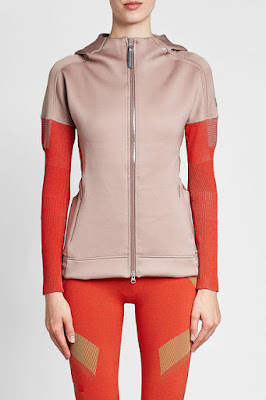 A mauve hue and mesh panels keep them trend-conscious and super cool. Performance-driven and polished for breaking a sweat in style, this two-tone hoody from adidas by Stella McCartney is deigned to take you through colder months in style - providing an insulating effect that keep you focused on your workout. 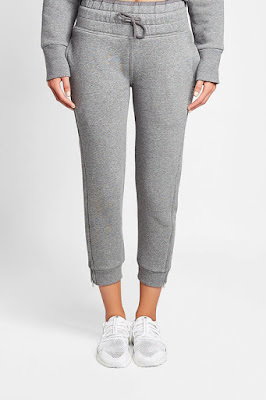 Match with the brand's coordinating leggings. 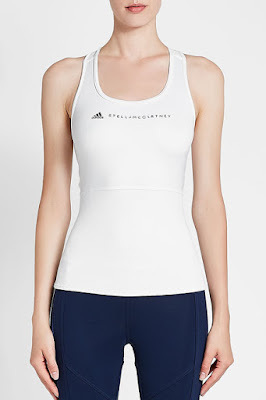 A high support style for everyday workouts, this rose pink sports bra from adidas by Stella McCartney is a smart choice for the gym. Styled with moulded cups, padding keeps it versatile while sweat-wicking technology is an intuitive finish we love. 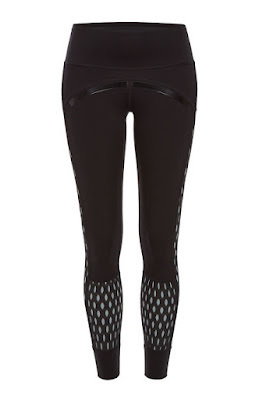 A staple in your exercise edit, these rose pink 'Run Ultra' leggings from adidas by Stella McCartney are styled with a logo waistband and patent trims of wet-look detail. The smart fabric is designed to wick away moisture. Designed for a fast-paced workout or running sprints, these sneakers from adidas by Stella McCartney are lightweight and easy to move in. A pitch black hue and a leopard print keep them trend-conscious and super cool. 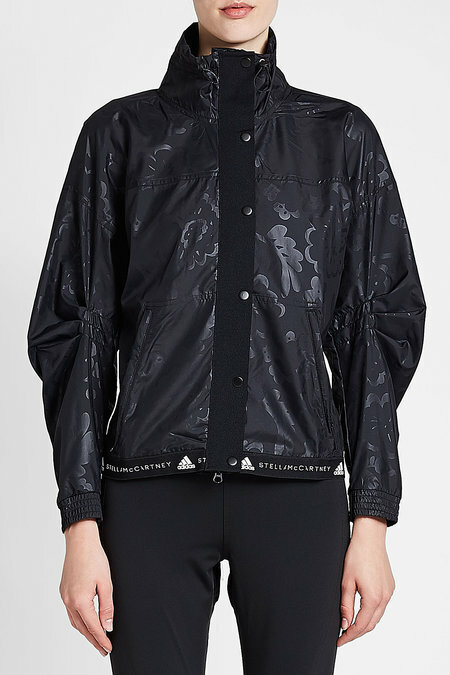 The appeal of this black windbreaker from adidas by Stella McCartney is all in the details - from the tonal print and the drawstring neckline to the two-way zipper and logo-branded trims that keep it current and credible. 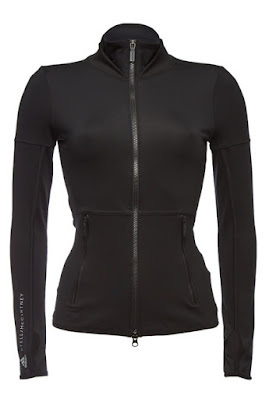 The appeal of this black zipped top from adidas by Stella McCartney is all in the details - from the zipped front and contemporary thumbholes to the lightweight fabric. 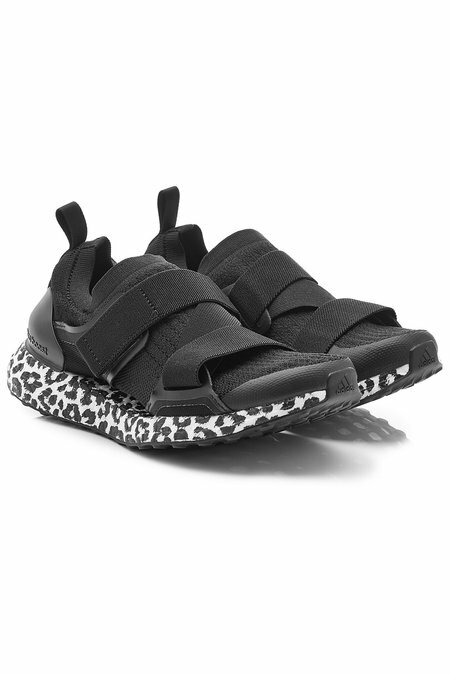 Slip on for long-distance runs or early morning yoga. 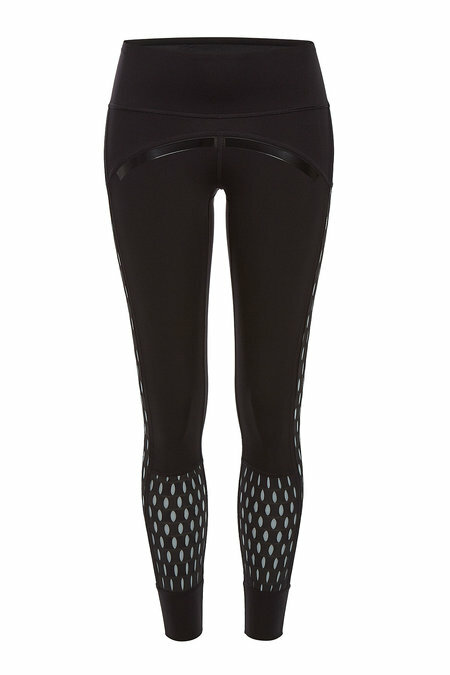 Styled with panels of glossy patent fabric and tactile cut-out mesh, these second-skin training leggings are a fashion-conscious offering from adidas Originals by Stella McCartney. Made with 'Parley' recycled material, they promise to do good as well as look great. 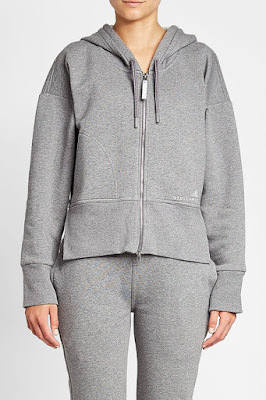 From the sporty fit and the two-way zipped front to the drawstring hood and embroidered branding - there's nothing that isn't smart or intuitive about this grey layer from adidas by Stella McCartney. Styled with a scooped neck and a racerback reverse, this white sleeveless tank from adidas by Stella McCartney is a comfortable and figure-conscious option for workouts. Crafted with organic cotton for an ethical edge, these tapered grey sweatpants are a mainstay addition to your casual edit - courtesy of adidas by Stella McCartney. Match with the coordinating hoody for the most impact.